← K & M’s Kitchen is BACK at the Carnarvon Yacht Club this Friday! 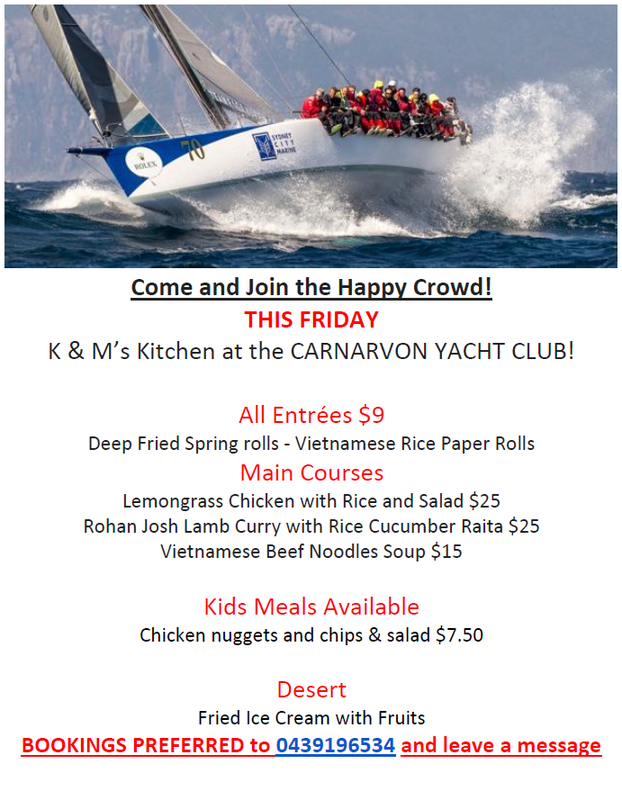 Come and Join the Happy Crowd this Friday at the Carnarvon Yacht Club!! 1 Response to Come and Join the Happy Crowd this Friday at the Carnarvon Yacht Club! !